What is the hATTR Compass Genetic Testing Program? Akcea Therapeutics and Ambry Genetics are partnering to offer anonymous, no-cost genetic testing and confidential genetic counseling for patients suspected of having or clinically diagnosed with hATTR amyloidosis. Who can get genetic testing? Genetic counselors are available at no cost, to speak with you on the phone before and after your genetic test. Before your test, a genetic counselor can review your goals, speak with you about any concerns you may have, and help you decide if genetic testing is right for you. After your test, a genetic counselor is available to discuss your results, help you make a plan for your next steps, and answer any questions you may have. To learn more, ask your doctor to connect you with a genetic counselor at PWNHealth, the partner working with the hATTR Compass Program. 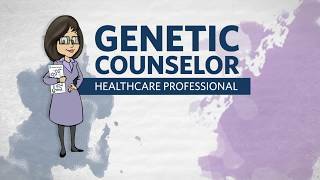 How do I order hATTR Compass genetic testing and genetic counseling? You can sign up for the hATTR Compass here. Order your free hATTR Compass genetic testing kit by completing the form below. Take the genetic testing kit to your doctor for a signature of approval. Be sure to select pre- and/or post-genetic counseling on the ordering form if desired. Your doctor and/or a genetic counselor will receive a report within 2-4 weeks. Talk to these healthcare professionals about your results. We’re here to help you every step of the way. If you have any questions about the hATTR Compass Program, contact us at +1 949-900-5500. Note: Physician email and/or phone is required. Disclaimer: By submitting this form, I understand that Ambry may need to contact me regarding my sample kit or if they have a question regarding my genetic test. The hATTR Compass Program is currently available in the United States and Canada. While Akcea provides financial support for this program, all tests and services are private and performed by independent third parties. At no time does Akcea receive information about you or your test results. Backpack Health is a mobile and web-based app that helps patients keep track of their symptoms, procedures, diagnostic tests and ongoing treatment for hATTR amyloidosis. The tool also makes it easy for individuals and families navigating the hATTR amyloidosis journey to share important medical information with healthcare professionals. Access to the app is complimentary for patients with hATTR amyloidosis as a part of the hATTR Compass Genetic Testing Program. Find out the basics about Backpack Health and how it help you on your patient journey here. Learn more about how you can use Backpack Health to organize and manage your health details and share them with the people who need to know using the user guide here.